Often in today’s culture, church has become something we do instead of something we are. With a growing focus on numbers and entertainment, many churches are trying to be the coolest, most innovative, and most fun church on the block. But, what does the Bible call us to as a church? In this series of sermons, we aim to be challenged and changed by the New Testament pattern for the local church — God’s witness on earth. We will look at passages of Scripture that instruct and guide us in our life together as God’s people. 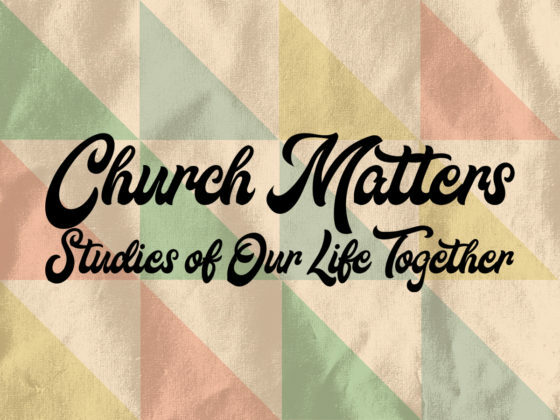 Please join us each week as we explore how we can be the church God has called us to be! given on Nov 19, 2017.
given on Nov 12, 2017.
given on Nov 05, 2017.
given on Oct 29, 2017.
given on Oct 22, 2017. How Do We Grow Together? given on Oct 15, 2017. What Is Membership & Discipline? given on Oct 08, 2017.
given on Oct 01, 2017.
given on Sep 24, 2017.